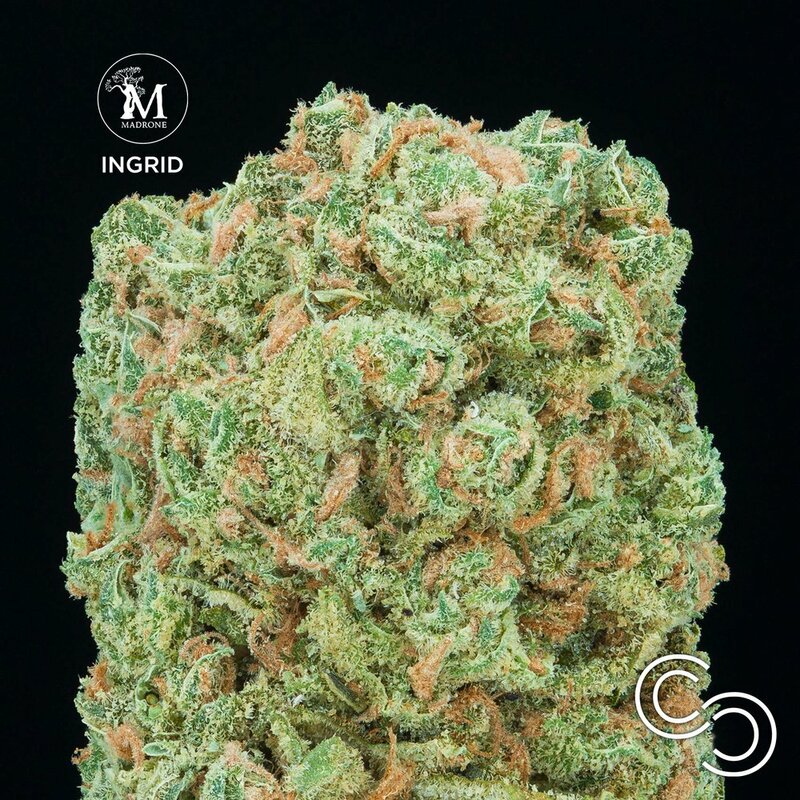 Ingrid By Madrone - Highly Medicinal! We have really nice batch of Ingrid grown by Madrone. This classic NorCal indica has a unique flavor and has been touted for its powerful medicinal qualities for over a decade. - Genetics: Unknown genetics. Bred in California in the 1990's. - Essence: Emits a unique skunky aroma with hints of gourmet cheese & eucalyptus. The flavor is skunky, cheesy, and slightly reminiscent of old Hindu Kush. - Effect: Very full-bodied indica effect great for loosening up the body and easing stress. Known to be ideal for both daytime and night time use. - Medical: Hailed as a great medical strain for it's anti-nausea, sleep-aid, and muscle relaxing properties.